When the oil wells runs dry, an energy unit trust becomes worthless. Self-directed individual retirement accounts give you access to many less-familiar types of investments, such as energy unit trusts. This type of investment is a royalty trust, meaning that the trust passes at least 90 percent of its income through to investors. Though you can own an energy unit trust in an IRA, it’s not a good idea because of the lost tax advantages. Energy unit trusts make money from pools of assets that generate income, such as oil wells and gas deposits. The trust doesn’t own the assets, just the income flowing from them. Energy unit trusts pay no taxes -- that task is left to unit holders, who receive a proportionate share of income and expenses. These trusts can generate high yields, often in excess of 10 percent. Once established, energy unit trusts cannot purchase the cash flows of additional properties, which means that once the oil or gas is gone, the trust is worth nothing. The Internal Revenue Service treats all income you receive from energy unit trusts as capital gains. The tax rates in 2013 for long-term capital gains run from 20 percent to 0 percent, depending on your gross income. Besides the favorable tax rates, investors also can deduct the operating expenses, such as severance tax and administrative overhead, of the trust and take the special tax deduction for depletion. Many state governments charge severance tax when companies remove nonrenewable resources from the ground, including coal, oil and natural gas. Investors in energy unit trusts expose themselves to several risks. The price of the trust’s underlying commodity might fall, cutting profits and lowering income. 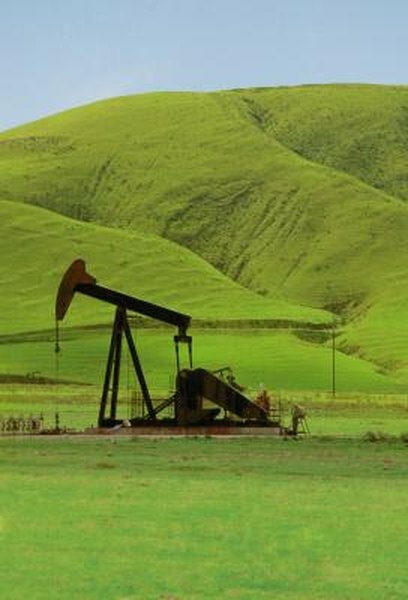 Oil wells and gas deposits eventually run dry, ending any further income from the trust. States may raise their severance tax rates, and new states may adopt severance taxes. It might be hard to sell your trust units at the price you want, because these trusts don’t have high trading volumes -- they are somewhat illiquid. You don’t pay taxes on investments held within an IRA. This means you don’t benefit from the capital gains tax rates on royalty trusts, including energy unit trusts. If you have a traditional IRA, you’ll pay your marginal tax rate when you take money out. Distributions from a Roth IRA are tax-free after you reach age 59 1/2 and you’ve held the Roth account for at least five years. You cannot deduct any investment expenses or the depletion allowance for royalty trusts within an IRA. If you are interested in investing in an energy unit trust, you can retain access to all the tax benefits these trusts offer by keeping them out of your IRA.